As a new and terrible Overlord named Void Dark seeks to enslave the countless Netherworlds, one young demon has stood to end his reign-Killia. 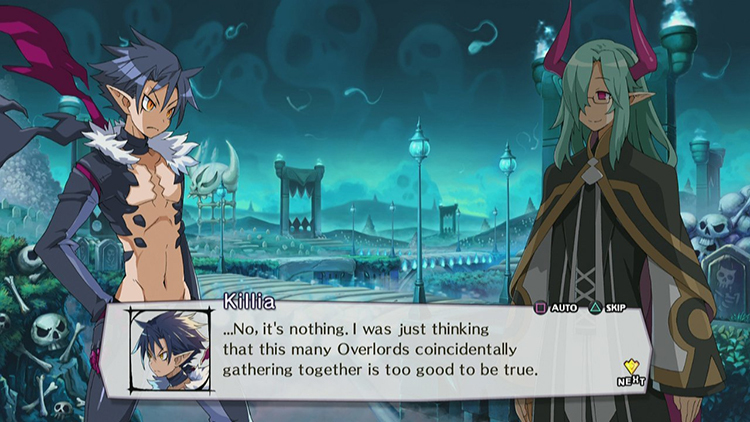 In Disgaea 5, players lead Killia and his tenacious army of rebels on their dark and dangerous path to vengeance. 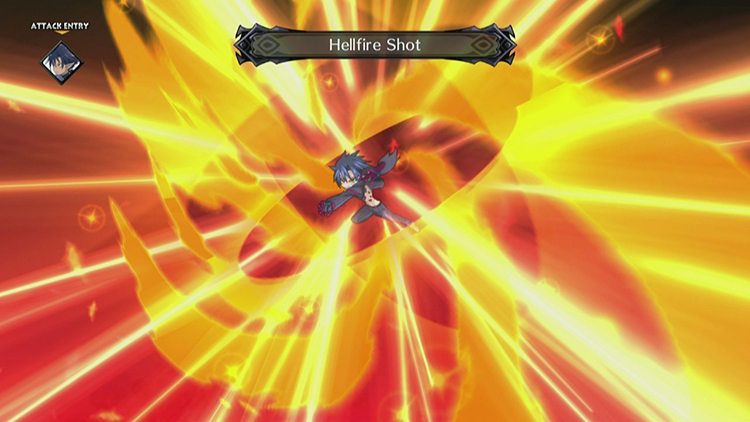 Filled with more over-the-top action and hilarious writing than ever before, Disgaea 5's damage numbers are surely headed for the record books. Plenty of competition for the strategy RPG dollar is out there – Disgaea 5 Complete hits Switch days after a new Fire Emblem on 3DS, after all - but Disgaea 5 is one of a kind on the Switch right now. It’s worth picking up if you have any interest in playing on the big screen. Just don’t download Nisa. On the other hand, if you’ve never played this game before, this review is more of a warning. Spend your money wisely, for countless hours can vanish in a blink. 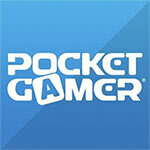 The simple graphics and cheeky dialogue conceal a vast, murky ocean of gameplay. Before you know it the sun will be rising and you’ll be bargaining for one more turn. Choose wisely, for the portable power of the Switch means this compulsion can follow you anywhere. Disgaea 5 Complete is an awesome addition to the Nintendo Switch line-up of games. Taking this time-intensive tactical RPG on the go with me was an enjoyably experience; I am not always at home and willing to spend 80 hours on my couch playing a game. The game’s premise feels like a soap opera at times, but it adds to the enjoyment when acted out by these silly characters. There are really only a few reasons not to invest in Disgaea 5 Complete on Switch, but it’s important to know what they are. If you don’t like strategy RPGs, it isn’t going to sway you. And if you don’t have extensive amounts of time to play it, you’re unlikely to enjoy the game to its potential and as such might want to consider waiting. Of course, handheld mode helps with this. Disgaea 5 Complete is everything that Disgaea 5 was, including all the downloadable content, on a system that you can take with you whenever you go. It's the same game, but the Disgaea series has always been a more enjoyable experience in its portable iterations and that's no different here. If you own it on PS4, it's still worth a re-purchase here. If you don't, welcome to the world of Disgaea. There are only a few RPGs on the Switch so far, but Disgaea 5 is nothing short of one of the best. If you’re at all a fan of JRPGs or tactics games, this is a must buy. Even if you had it on the PS4, its inclusion on the Switch and portable greatness make it one of the system’s must owns early in its life. 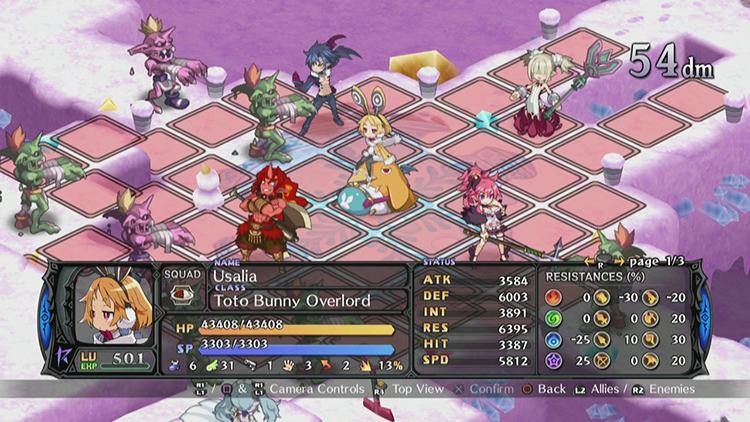 Overall, Disgaea 5 provides many hours of entertainment and a great on-the-go experience. 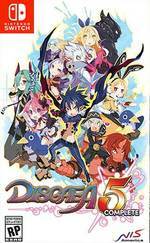 If you like JRPG’s and want a game that will last a while, I would recommend Disgaea 5. 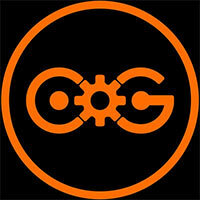 The great gameplay, plot, and character development will bring you great enjoyment for a long time. Disgaea 5 Complete comes with a lighthearted story, enjoyable characters, all the DLC and gameplay full of different strategies for every player to try. It works amazingly well on the Switch, as it’s a perfect title to play in short bursts with handheld mode. Disagaea 5 Complete won’t be to everyone’s tastes given it’s odd humor, but there’s plenty of content for strategy/tactical RPG fans in this quality title. 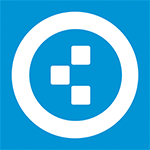 If that sounds like you, give this one a go and enjoy the ride! Disgaea 5 Complete is an inaccessible, ugly, and grind heavy strategy RPG that asks far too much of you to get anything out of it. Unless you already love the franchise, we'd strongly urge you to stay clear. For Disgaea fans this game is worth a purchase, especially as it includes all DLC from the original and plays beautifully on the go. For strategy RPG fans we still give it a hearty recommendation, but with the proviso that it's more demanding and tougher to master than many of its genre contemporaries. If you're up for the challenge and time investment, and can tolerate its zany characters and settings, then it's well worth adding to your Nintendo Switch collection. 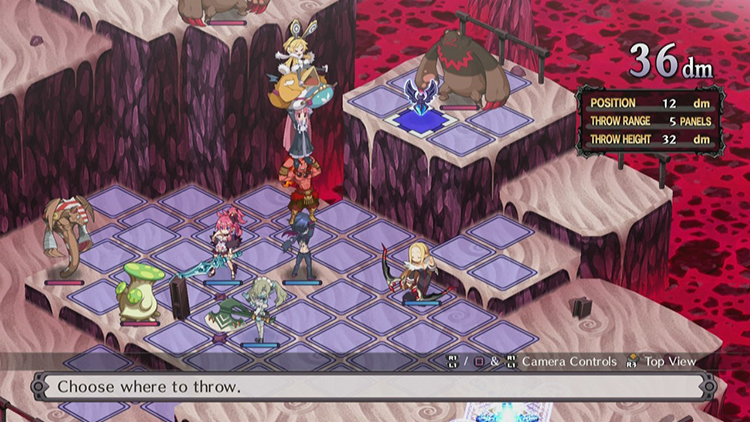 Disgaea 5 Complete is a natural fit for the Switch, as the features that make it more accessible than older titles in the series are highlighted through the portability of the platform. While already an excellent SRPG in its own right, the DLC added into the core game both provides a definitive experience for series veterans, while also offering several slight handicaps to newer players. Disgaea 5 Complete's strategic depth and genre-savvy charms feel perfect at home or on the go, making it an excellent addition to any growing Switch library. The least funny Disgaea, but arguably the best in terms of the actual gameplay – and it’s a perfect fit for the Nintendo Switch. For series fans, Disgaea 5 is an easy pick. It's full of the franchise's trademark anime wackiness, full of intricate and complicated mechanics, and full of… well, full of everything, to be honest. The rest, however, are advised to tread carefully, as this might not be the SRPG you have in mind. 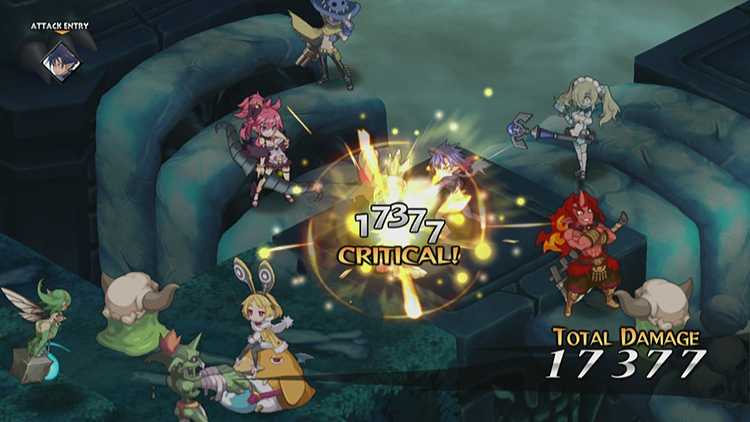 Debido a sus características, pensamos que Switch es una consola que va a inflarse a recibir títulos de un estilo similar al que nos ofrece este gran RPG de corte estratégico como es Disgaea 5. Una aventura absorbente, profunda y dotada de mucho humor que además posee una vida útil muy estimable y un acabado general que luce de maravilla, especialmente en el modo portátil. Si el idioma no supone un impedimento para vosotros, se trata de un TRPG excelente en todos sus aspectos. Disgaea 5 sigue siendo tan buen juego ahora como hace dos años (lo que no es decir poco precisamente), solo que ahora tenemos la opción de jugarlo en cualquier parte además de en el televisor y que no nos toca pagar de más por tener todos sus contenidos descargables. Si os lo perdisteis en su momento y os gustan los SRPG, aquí encontraréis una compra recomendadísima con la que exprimir la nueva consola de Nintendo durante horas de calidad y pura diversión. Stunde um Stunde vergeht wie im Flug und tiefe Augenringe zeigen, dass man sich wieder einmal die Nacht um die Ohren geschlagen hat, um sein Team zu optimieren. Denn Gelegenheit dazu gibt es genug – wie auch dazu, seine Haltestelle zu verpassen. Für mich war und ist Disgaea 5 eines der besten strategisch angehauchten Rollenspiele, die seinerzeit mit Ogre Battle oder Final Fantasy Tactics auf Konsolen ihren Anfang nahmen. Avec sa base ultra convaincante et ses nombreuses extensions, cette version ultime offre l'un des meilleurs T-RPG du moment aux possesseurs de la console. Avec sa durée gigantesque, le jeu de Nippon Ichi Software se dévore désormais en déplacement et ouvre une grande fenêtre à un genre qui se fait rare. Si le grinding est l'un de vos plaisirs cachés, n'attendez plus et foncez ! A l'heure du bilan, qu'il est difficile d'émettre un jugement ferme et définitif sur Disgaea 5. Cette version à peine agrémentée du cinquième épisode nous rappelle à quel point la série refuse intentionnellement d'évoluer, et ce depuis le premier opus sorti il y a maintenant quinze ans. Alors à qui s'adresse-t-il, finalement ? Les fans de la série n'auront pas attendu ce portage "Complete" pour se jeter dessus, et la version Switch ne leur offrira aucune raison d'être rejouée. Come già fatto con la versione Switch di I Am Setsuna, abbiamo deciso di confermare lo stesso, ottimo voto che Disgaea 5 seppe meritarsi un anno e mezzo fa su PS4, perché questa versione Complete, che pure aggiunge ulteriori contenuti ad un prodotto che già era potenzialmente infinito, avrebbe potuto includere un sistema di controllo touch, che si sarebbe rivelato un toccasana in modalità portatile. Al di là del rammarico per questa mancanza, siamo comunque dinanzi alla versione definitiva di un signor SRPG, che può adesso essere goduta anche al di fuori della comodità della propria postazione di gioco casalinga. Speriamo che questo ritorno della serie su lidi Nintendo segni una nuova fase della collaborazione tra NIS e la casa di Mario: ne beneficerebbero tutti i possessori della neonata console ibrida. Disgaea 5 Complete è un gioco di grande qualità, curato, profondo e carismatico con un carattere tutto. Saprà divertirvi e intrattenervi per tantissime ore. Ci sono alcuni aspetti più o meno criticabili e non tutto dimostra lo stesso livello qualitativo, ma nell'insieme è un gioco di altissimo livello. Certo, avrei preferito un bilanciamento migliore, con una difficoltà che si alzasse gradualmente e non fosse inflazionata da occasionali picchi. Stiamo parlando di un JRPG strategico di altissimo valore che nella sua incarnazione per la nuova console Nintendo consente il lusso della portabilità: la sua struttura, fatta perlopiù di missioni concise, si adatta meravigliosamente alla modalità mobile, grazia anche ai caricamenti velocissimi, alla stabilità generale del software e a una sobrietà tecnica che consuma la batteria molto lentamente. Si tratta, insomma, di un acquisto obbligato per chi ama il genere e non ha ancora avuto l'occasione di cimentarsi con un Disgaea o con questa iterazione in particolare.